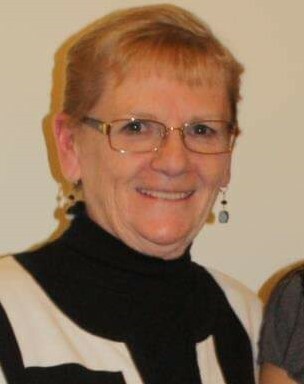 Maureen Fusco, 78, of Providence died peacefully surrounded by her family Wednesday March 27, 2019 in the Philip Hulitar Hospice Inpatient Center, Providence. She was the beloved wife of over 52 years of the late Domenic F. Fusco, Sr.
Born in Providence she was the daughter of the late James A. and Mary Etta C. (McGeough). Maureen had worked as a Credit Manager for the Rhode Island Credit Union for over 30 years retiring in 2006. She was a loving Wife, Mother, Grandmother and Sister. She is survived by her children, Domenic F. Fusco, Jr. and wife (Shelley) of Cranston, Dana M. Fusco and wife (Cynthia) of North Providence and Deneen Anne Cooke and husband(Dana) of North Kingstown. Brothers James A. Murray, Jr, Mark W. Murray. Grandmother of Courtney, Emma, Kailey and Domenic III. She was sister of the late Edward R. Murray. Funeral will be held on Tuesday April 2, 2019 at 8:45am from the Russell J. Boyle & Son Funeral home 331 Smith St., Providence, with a Mass of Christian Burial at 10:00 am in St. Thomas Church, 65 Fruit Hill Ave, Providence RI 02909. Interment will follow in Highland Memorial Park, Johnston. Visiting hours will be held on Monday from 4:00 to 7:00 pm. In lieu of flowers, memorial gifts in Maureen's memory to Saint Thomas Church, 65 Fruit Hill Ave, Providence, RI 02909 would be deeply appreciated.